Novelty-seeking veggie gardeners have plenty of exciting options to choose from with trendy crops, such as gourmet greens and tomatoes. But peas? 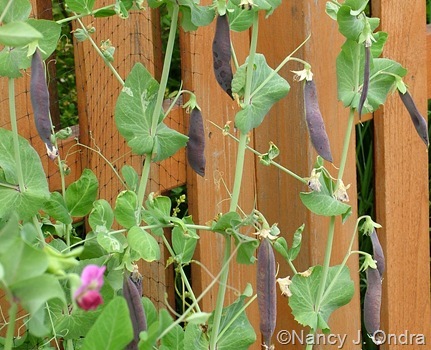 Hardly trendy, and hardly a plethora of options to choose from, at least in most catalogs: a few snap peas, a couple of snow peas, and maybe a few varieties of shelling types. I suppose it’s not really necessary for peas to be exciting, appearance-wise; once you experience the flavor of fresh-picked peas straight from (or, even better, right in) the garden, you hardly care what they look like. But if you enjoy trying something different, there are two out-of-the-ordinary varieties worth tracking down.